Mahindra Enforcers took advantage of Philippine Cup Champion’s apparent hangover to register their second win in the ongoing Commissioner’s Cup at the Alonte Sports Arena in Binan, Laguna. LA Revilla and Nino Canaleta teamed-up down the stretch as they buffered the San Miguel Beermen’s late rally to escape with a 102-96 win. Aldrech Ramos top-scored for the Enforcers with 26 points including six 3-pointers. 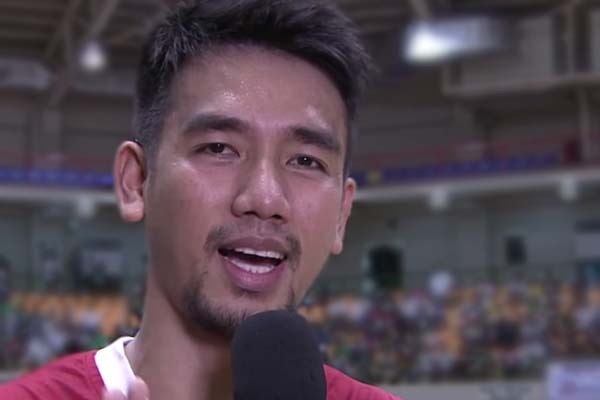 “Kung wala man sila sa kundisyon o timing, my players give their best. I told them na huwag intindihin yung kundisyon ng San Miguel at tayo ang gumawa ng panalo natin.” Said Mahindra acting head coach Chito Victolero. SMB import Tyler Wilkerson seems like a perfect fit for the Beermen registering 29 points, 12 rebounds and 2 blocks but seems to be the only player who had the legs to be aggressive down the stretch to try and salvage the game. “Very tough game for us coming from a loss. We just need that mental toughness in the end.” Said Victolero.